The English weather, in my part of the country at least, has been pretty dismal since Christmas. Over the last few days however, the sun has made an appearance and things are starting to look up. Green buds are beginning to appear on the trees and bushes, snowdrops are starting to open their white heads and a few crocuses have appeared in my garden – a sure sign of spring. When the days are dull and the light is less than perfect for photography it’s the perfect opportunity to come up with future projects, to research new locations to visit or come up with ideas for interesting shots. 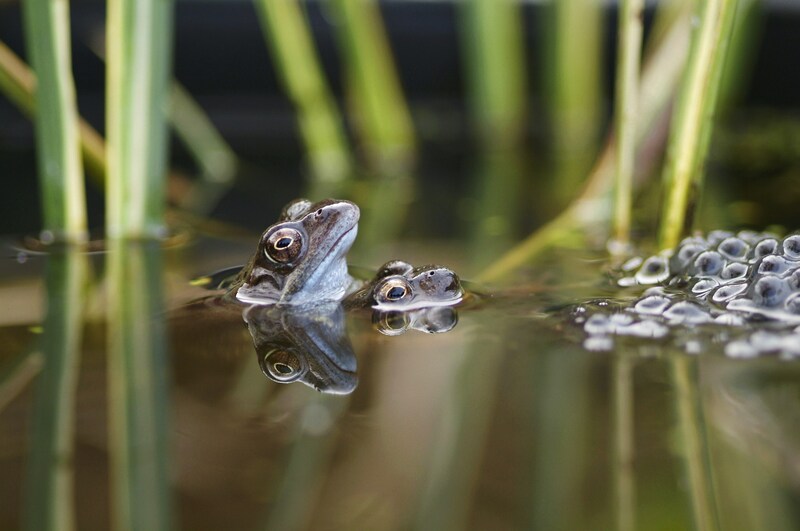 Over the weekend I am hoping to build a new pond in preparation for the common frogs to lay their spawn in. The new pond is in the form of an old Victorian sink that was lying dormant at the end of my sister’s garden and come next month, I hope, it will be full of frogs. This new pond should be a lot better photographically speaking. I have used a spirit level so that it is completely straight and I will be able to fill it to the top resulting in a smooth reflective water surface. There is just the small matter of blocking up the plug-hole and the overflow (more of an issue) with something completely water-tight that won’t harm the frogs. Another of my plans for the garden is to turn the top half into a wildflower meadow. Having been dug up last year this part of the garden has regressed to mud and weeds. The flowers should attract a lot of insects right to my doorstep so I shouldn’t be short of subjects to turn my macro lens to. If you would like to plant your own wildflower meadow (even if it is just a miniature version in a few large pots) seeds are stocked at most garden centres or can be purchased online. All the relevent information about the type of soil the plants prefer, whether they prefer shady or sunny spots and what time of year to plant them is usually printed on the packet. 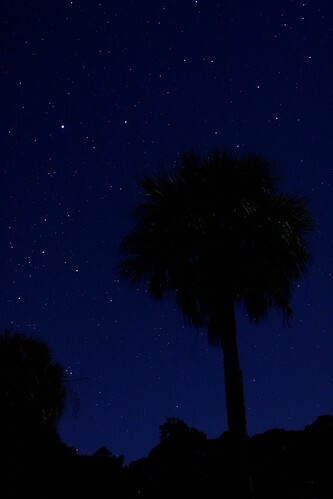 Night Sky over St. Catherine’s Island, originally uploaded by Luke Theodorou. I love how you managed to make this such a two-dimensional experience, it looks completely flat and resembles a silk-screen print. Normally this is a detraction in photography, but here it really works, and gives it an incredible graphic impact. Makes you really appreciate the beauty of nature. The only thing that would make this image superb is if you could lighten up the sky just a little bit, its a little hard to tell there are stars in it, and if would make the image a little more luminous. beautiful job, and keep shooting.